Great to see this work finally up in the Patriothall Gallery in Edinburgh at the beginning of the month, after it’s been sitting about in my studio/in my brain for quite a while. Patriothall is a great exhibition space, very well hidden down an alley way in Stockbridge – the poshest place in Edinburgh, surely. SURGE, a group exhibition curated and organised by Upland, featured a really nice mixture of familiar and new works by 12 artists from across Dumfries and Galloway, and made a nice collection in the space. This has been my first exhibition in the central belt (! ), but persuading new audiences into a space like this turns out to be trickier than it might have been. However, great to get the work out, framed and onto the wall somewhere, and spot the red dot tucked away underneath one! It’s always the favourites that go, and so it is this time too, but so glad it has gone to a good home (big thank you to Clare for the support!). My first experience also with a professional framer, and have to say how beautifully framed these look with thanks to Sam Cartman for sorting me out last minute and getting them finished perfectly. Also, thanks to Upland for all the organising and for selecting the work-in-progress. It’s interesting to continue to look, playfully at the art gallery situation as a potential site or location for artworks, even if I often feel a bit puzzled as to their purpose once there. Potentially as a stepping stone towards the more personal, domestic environment gives the artwork a lifespan and new location to relate to. ‘they just don’t make them like they used to’ arrived after a long period of learning how to lift floors during my studio renovations last year. 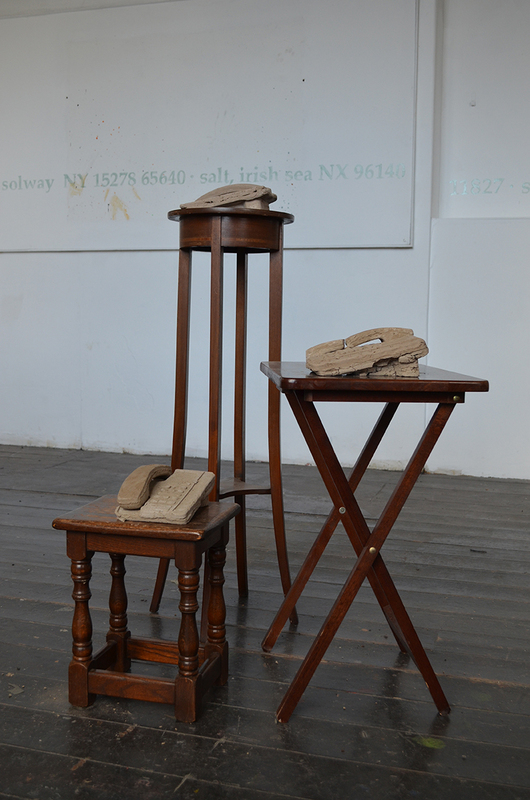 The length of the nails, coupled with the beautiful, heavy floor boards made the task arduous and lengthy, as the floorboards were lifted, possibly for the first time in their 170 year life; and this sparked an importance of keeping traces of this lifting, moving and replacing, of acknowledging the makers and tradespeople who came before. Also, on the way back to the car, we spotted this excellent ghost sign, with layers of businesses and lettering on show. Super nice. I’m on the hunt for gallery spaces for next year in Glasgow, Edinburgh, Dundee, Newcastle or somewhere else out with D&G, that might be interested in a proposal for an exhibition featuring sculptures, film and photographs (possibly audio) as an installation exploring landscape and the documentation of one of my site specific pieces. If you’ve got any suggestions of places that might be interested or that I could approach, please give me a shout. Excited to have new work showing in Edinburgh as part of Upland’s SURGE exhibition at the Patriothall Gallery next month. The exhibition launch evening is free and open to everyone, if you are about in Edinburgh town please come and see some new work from a selection of excellent D&G based artists. Location #3 CALDEWGATE, Newcastle Street, Carlisle. And so concludes part three of an extended foray into exhibition/gallery art in 2015. 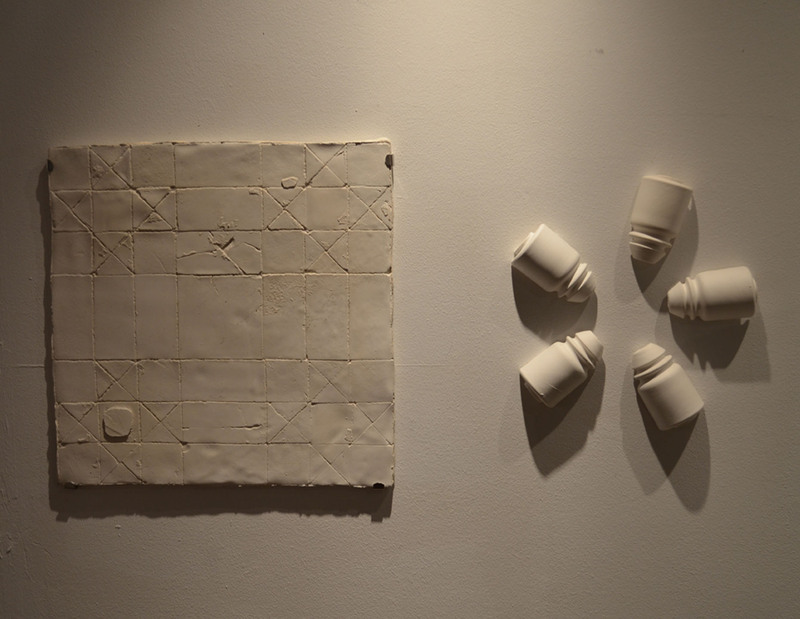 Salt of the Earth first appeared in public at Gracefield Arts Centre, Dumfries as part of Spring Fling’s YAB exhibition in March. In April, it reappeared in a new form at Kulturschopfer’s Green Hill Gallery, Berlin alongside Spring Fling’s Making.Art exhibition. 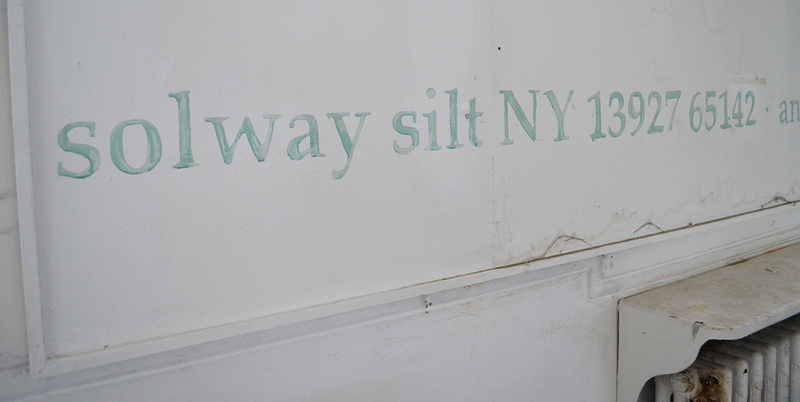 Finally, it crossed the Solway, the starting point of the work for CALDEWGATE. 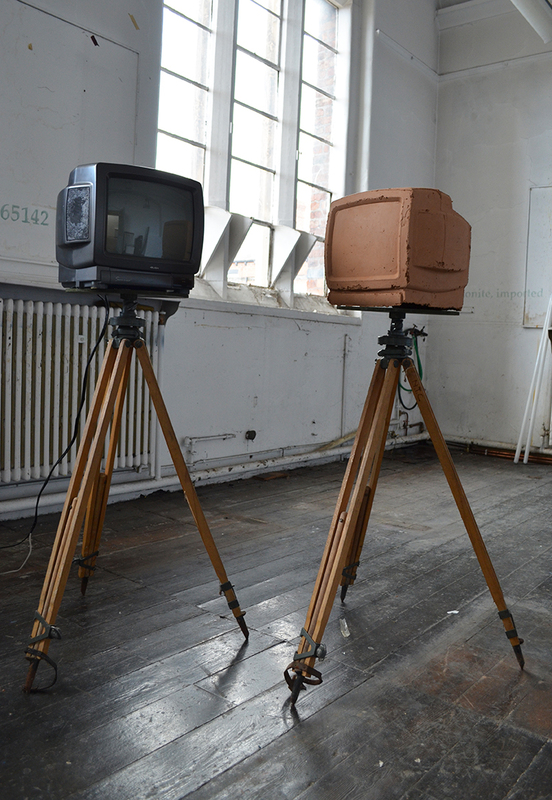 With each showing, works were added, removed, altered, fiddled with, reconsidered, redrawn and ditched. 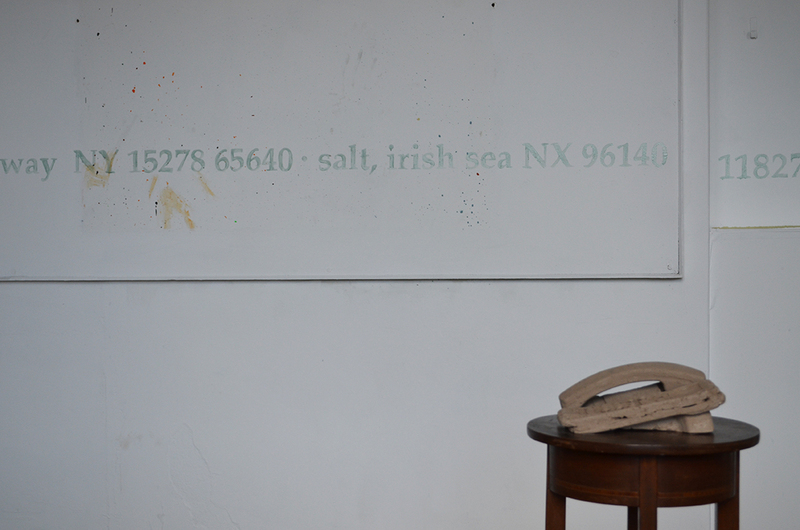 From challenging contextual spaces, to uncertain install details – salt of the earth has been an interesting experiment, which has included, light-touch performance, interactive works, film work, text based wall work, soundscapes and the original sculptural objects. All grown from a fascination with environment. The ever perfection-driven artist ego struggles with gallery context. Even a desire for flawed-precision, humanised-perfection, can feel deflated and lack-lustre when confronted with a gallery context. How does the audience arrive? With expectation? Can gallery audiences be more than passive viewers of a singular viewpoint? These experiences are far more personal, affected by the quietness and isolated nature of gallery spaces, temporary or otherwise. The CALDEWGATE space, so emotive for many visitors (and especially for the artists) still with a faint and dying scent of printmaking materials drew very distinctive frames around the work on view. It should be added, art colleges are a VALUABLE part of creating our cultural futures. Educational funding may not be what it was in some previous golden era, but measuring the value of your art college using a tape measure to student ratio is wasteful. Technical spaces are a dying breed, as ever increasing student numbers are sold a dream and packaged as sardines on a montetary fueled journey into the unknown. Art schools are magical places, and will grow our future creative and cultural worlds – they are the eye openers, precious spaces and world changers. Take heed art colleges, you are the guardians, the care-takers, the visionaries and future makers. But only if the art schools survive. 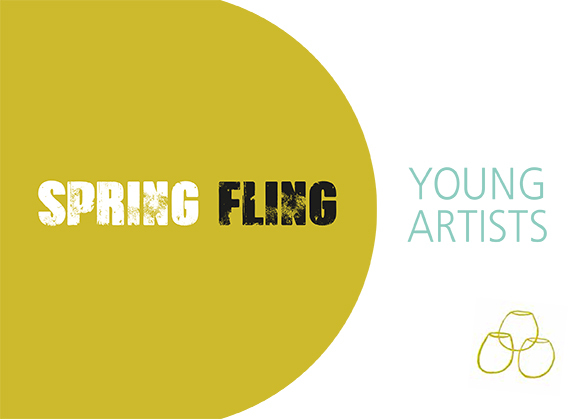 Excited to announce that this year I have been supported by Spring Fling through their Young Artist Bursary programme, have a look at my Spring Fling profile online here. The Open Studios event might not be till May, which you could be mistaken for thinking is ages away, but is probably countable in weeks… I have been paired up with mentor Isabell Buenz for the next few months which is already proving an exciting learning experience, but more on that to come! 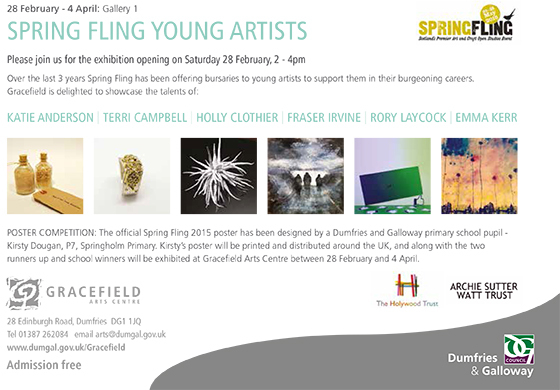 In the meantime, Gracefield Arts Centre in Dumfries is showcasing the work of some of this and previous year’s supported Young Artists, and runs from the 28th of February to the 4th of April in Gallery 1. To get the first glimpse of the exhibition, make sure and come to the opening from 2 – 4pm on Saturday the 28th February. Look out! RISE is opening at the Galley on Nelson Street, Carlisle next Thursday and runs for a week. 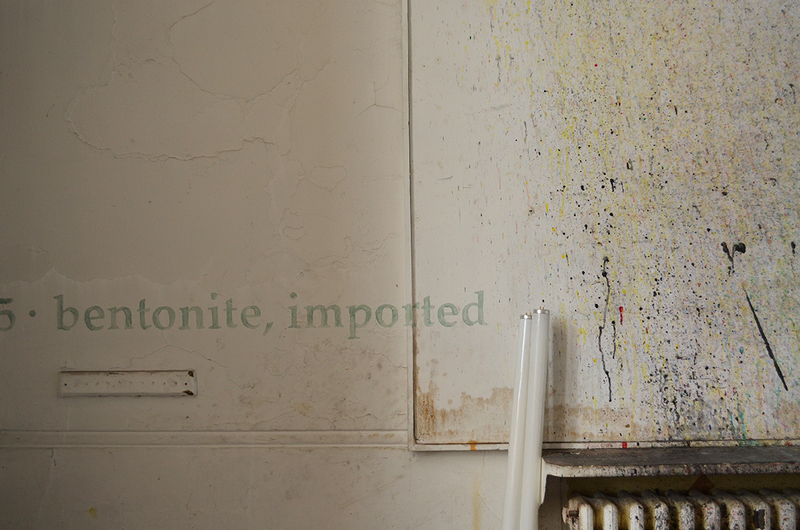 With any luck I will be showing some new work…. cancel your plans and get on down to that funny little city across the border!